We are engaged in offering a natural and pure range of Botanical Herbs, which is extensively used for treating number of diseases. 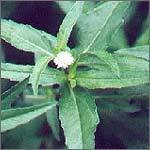 These are known for zero side effects as these are cultivated and processed under hygienic conditions. Botanical Herbs have found many uses in treating number of diseases without creating any side effects. Many of today's drugs and medicines were originally derived from natural ingredients, combinations of medicinal plants and other products found in nature. Its range includes ayurvedic & unani raw drugs, konch seed and henna. They are very effective and useful. It is used for various purposes and is available all across the country to our clients. We are the big suppliers of this botanicals herbs and we provide this at very reasonable price range to our clients. Botanical herbs have been used since time immemorial. In fact, the ancient indian scriptures – the vedas – have volumes on the use of the herbs, in detail. The writers of the vedas have given every minute detail about each of the hundreds of herbs, some of which are not even in existence today. Acalypha indica is also used to cure toothache, earache and useful in speedy laxative. The roots of acalypha indica are cathartic, these leaves and botanical herb are used to cure scabies and snake bite. Preparations - Infusion of root, powder, decoction, cataplasm, succus (juice expressed), tincture and liquid extract. 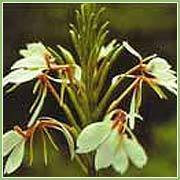 We offer herbal medicines like Chlorophytum borivilium (safed musli) that belongs to the family liliaceae and is one of the rare medicinal plants. Our range of safed musli is gaining increasing acceptance as a vitalizer and health-giving tonic, a curative for prenatal and post-natal problems, a restorative for immunity-improvement and as a remedy for diabetes and arthritis.